Seasonal decor with international inspiration. Celebrate the seasons with your own sense of style. Handcrafted rattan splits, powder-coated iron base A tribute to the nuance of the color blue, this introspective piece conveys poignancy and depth. Striking dark glass makes this handcrafted vase an ideal statement piece. Its unique texture and asymmetrical opening ensure it stands out on its own - but can accommodate the blooms of your choice as well. 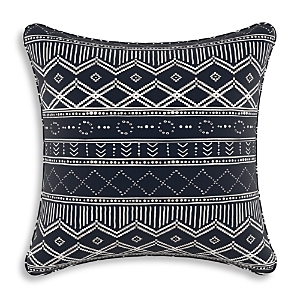 Sweet grass, sisal, raffia, thread The Antigua Pillow is the perfect accent you’ve been searching for. 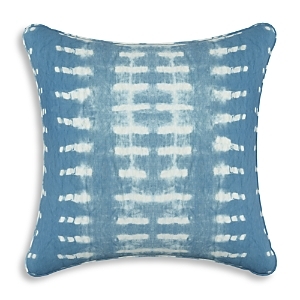 Made from super soft cotton, this pillow is hand woven by an artisan group just outside of Antigua, Guatemala, using time-honored weaving techniques. Seeking to advance social change through education, employment, and empowerment, each of Indego Africa's intricate designs is handcrafted by artisan women in Ghana and Rwanda over the course of two to three days. Handcrafted with brass and a gleaming stone base, this leaf-shaped piece brings a luxe touch of nature to your bedroom, home office, or living space. Born of appreciation for cultural art and natural aesthetics, Los Angeles studio All Roads Design is renowned for their ability to pair handmade with high-style. Founders Robert Dougherty and Janelle Pietrzak combine their backgrounds in carpentry, welding and textile sourcing to create custom furnishings and one-of-a-kind decor that never fails to catch the eye. Handcrafted "Thick As Thieves" giclée on canvas. Approx. 48"H x 36"W x 0.75"D. Applied texture finish mimics the look and feel of an original painting. Frame features a golden finish. Framed without glass. Includes hardware. Made in the USA. Lift up your leafy plants with this woven rattan wall basket, designed to fit 6” planters Handcrafted with a gleaming stone base, this leaf-shaped piece brings a luxe touch of nature to your living space. Add extra texture to your decor and turns your room into an inviting space with this simple yet classy elegant design. drape it over a chair, couch or bed to add an exotic stylish touch to your living room or bed room, many available colors allow for easy mixing and matching with your decor or other accent pieces. Brass, iron Natural bulrush, waterproof latex Ambient neutrals accent this handmade wall hanging for a globally inspired feature in your space. Handcrafted Courtly Palazzo candlestick lamp. 10"Dia. x 19"T. Enamel and brass. Courtly Check® detail. Silk shade. The strength and grace of the human form is beautifully captured in the bronze Wall Diver - floating effortlessly and confidently towards his goal. Cover an entire wall to create a stunning design splash, or purchase a single figure as a holder for jewelry or guest towels. In any environment, the Wall Diver adds a dynamic sculptural element that will always score a perfect ten. Soft woven throw blanket with a rustic look that gives your space that perfectly worn-in feel. Finished with tassel trim at corners. Print on proprietary board composition. Looks as if printed on glass. Handpainted earthenware and iron base. Linen shade included Cozy up in style with the Luca throw from OscarOliver, featuring a soft knit design that will add textured comfort to your bedroom or sofa throughout the year. Woven from natural raffia, this impeccably crafted piece is inflected with a modern, bohemian edge that elevates any space. Print on proprietary board composition. Looks as if printed on glass. With it's sturdy metal frame and artfully hand-woven exterior, this durable basket is perfect for storing books, blankets, games, and more. Exotic birds come to life amidst tropical flowers on this colorful Parrot Paradise throw pillow from Deny Designs, offering a bright accent for your living space. Crafted with finely twisted jute stretched across a steel frame, this midcentury-inspired pendant lends natural texture and casual elegance to any space. The perfect sunny spot for daydreaming, this hammock features a durable woven sling with wooden dowels at either end for sturdy framing. Fringed macramé edges offer a boho-inspired aesthetic, finished off by roped strands at ends for hanging. 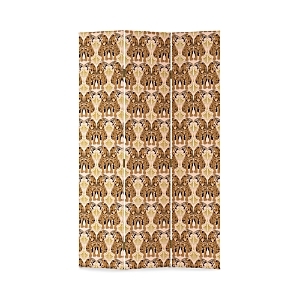 Giclée-printed, gallery-wrapped cotton canvas Modern faceted sculptural camel and elephant constructed of a matte white ceramic to give these ancient animals a modernized appeal. Great decoration for bookshelf or desk. Could even hang bracelets and necklaces from for your jewelry collection. Elephant has raised trunk for good luck! Award-winning artist Hiroyuki Izutsu explores a structured trio of motifs: ? ?human, landscape, flower. Currently residing in Tokyo, he uses color and tone to evoke a sense of serenity, whether with a vibrantly articulated flower or a calming landscape. 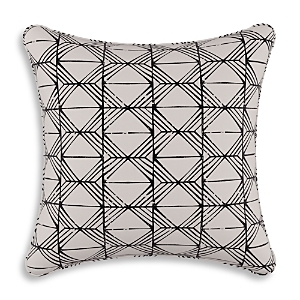 Tribal patterning with a contemporary twist defines the chic and playful style of this geometric throw pillow. Bold details of triangles, stripes and diamonds combine in vibrant hues of pink, red and yellow on this cotton cushion. With an elegant, subtly fluted silhouette, this antique-looking pendant lends an elegant light. Handcrafted transitional rug. Viscose/wool. Super soft oversized throw with check design. An artful testament to the beauty of patina, this stunning piece reflects even the faintest glimmer of light, for a remarkable effect in any room. 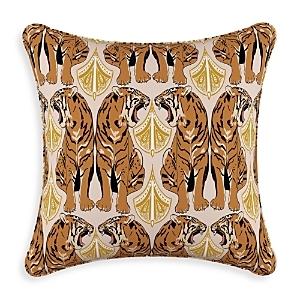 Rizzy homes decorative accent pillows are the easiest way to create your dream home. You will find everything from glamorous embroidered detailing to southwestern inspired havens that will add a global charm to your home. All a while seamlessly layering with other colors and prints. Distressed mango wood wall shelf with carved etching at frame and six interior compartments. A mixture of square and rectangular cubbies make your display options endless. Show off your favorite little plants, candles, crystals and trinkets in the prettiest way. Designed by ceramicist Anna Westerlund in collaboration with Anthropologie, this ceramic table lamp boasts an energetic, handpainted motif rendered in soothing neutrals that suit any space. Hand painted on canvas. Textured with glitter. Polystyrene float frames. An oversized collation of brilliantly colored specimens of coral and other sea creatures. They are displayed on archival paper with deckled edges. It is framed in a narrow black and copper frame. Add festive cheer to your bathroom with the Reindeer towel collection from Dena, featuring red plaid reindeer printed atop a white ground accented with a decorative zigzag border in red and green. Popular workouts: yoga, Pilates, spinning, jogging, weight lifting—Inspire a healthy lifestyle, drink to your health, exercise and stay fit.